Better question: Are your nails ready? No, but really. Are they? 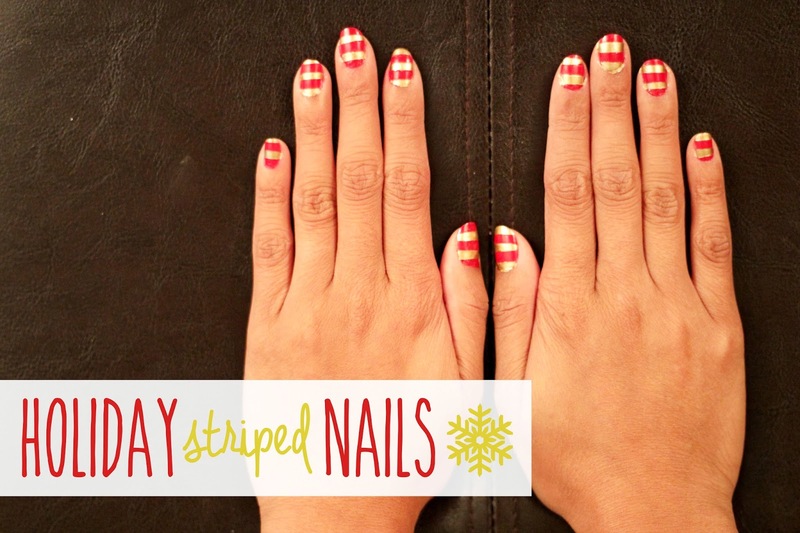 Because if they're not, I've got a fun tutorial today on how to make your nails all ready and glammed up for Christmas! 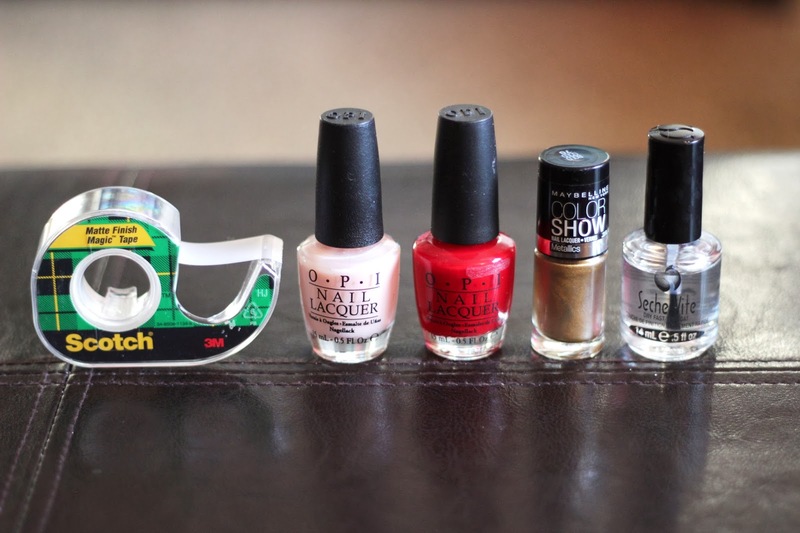 The tools that you'll need: tape, a base coat, red polish, gold polish, and a top coat. 1) After you file and clean your nails, paint on a layer of base coat (so you don't stain your nails red). 3) Cut up thin slices of tape (size depending on how skinny or wide you want your stripes to be). Place the tape on top of your nails in the pattern that you want--MAKE SURE THAT YOUR NAILS ARE DRY BEFORE PLACING THE TAPE, or else the tape will peel the red polish right off. 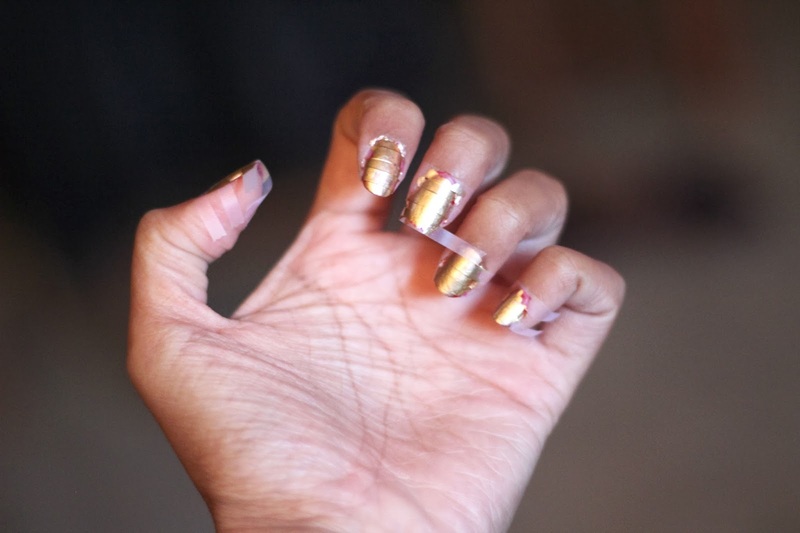 4) Slather on some gold polish, making sure to cover every part that isn't protected by tape. 5) Wait for the gold polish to dry and SLOWLY peel off the tape. 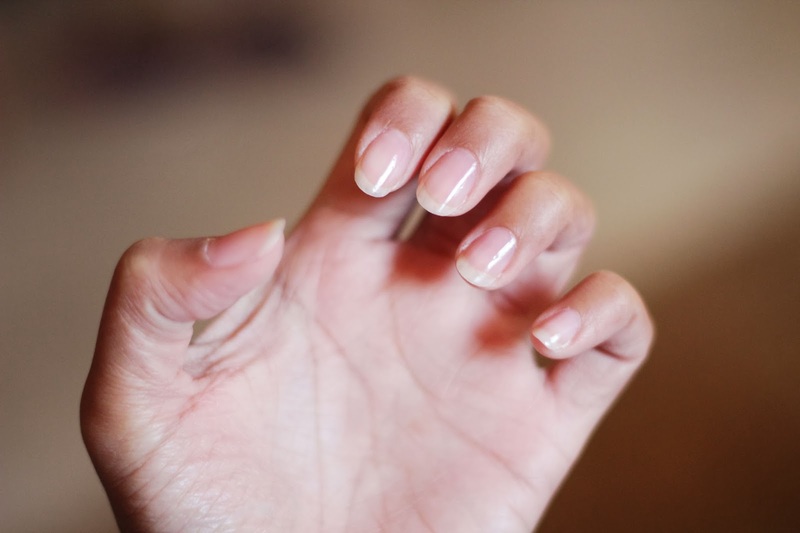 Clean up the edges of your nails and finish it off with a top coat! 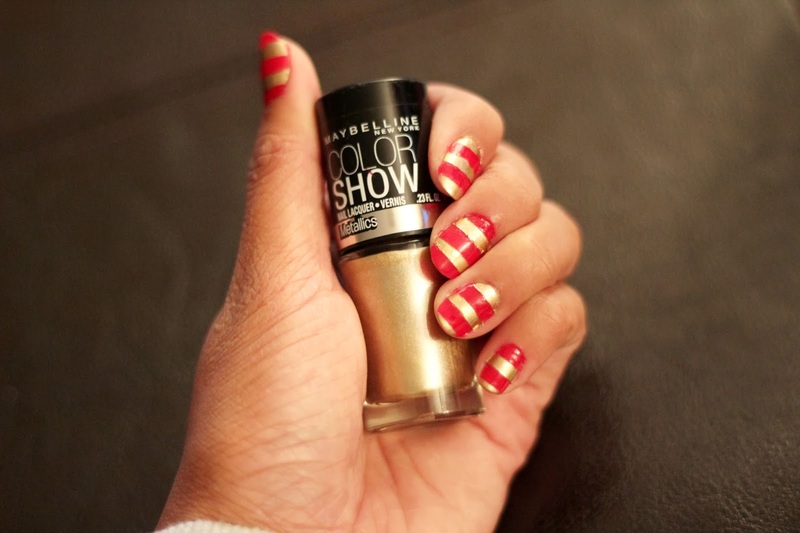 Holiday Striped Nails, just in time for Christmas! Gotta love some festive nails ! I love this! They're too cute! These are awesome! I love using tape for nail art. I will have to try this design next! !